Made of 100% organic cotton and perhaps my favorite of the bunch because #chunkybabies. My littles have been a size or two ahead since around 6 weeks (so think my 12 month old is currently in 18-24 months or size 2T in most brands). But not this one!! Hallelujah! We’re still one size up, but it’s a beautiful thing knowing she has a little room to grow instead of busting at the seams and the fear of being one dryer session away from the giveaway bin. Did I mention they are super cozy (of course) and have footies with a no slip grip, which I swear help Evie sleep better! Gap Organics & First Favorites - $25-$29, but I always get them during a 40% (no exclusions) sale.. they have them religiously! 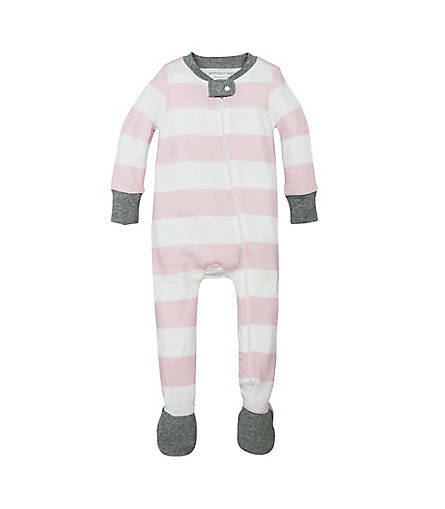 ickee Pants ($33)- This was actually the first insanely comfy jammie set we were gifted for Riley (thanks, Aunt Sam!) and then again with Ev (Lydia, you get it ;) - and I absolutely love them. 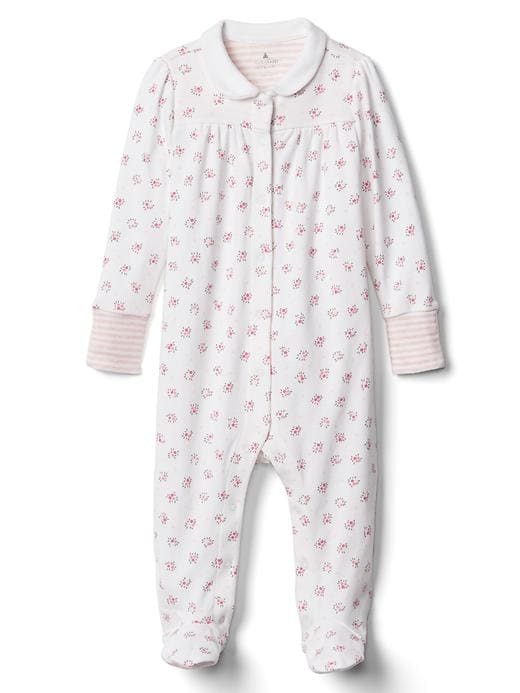 Made of 95% viscose, they have held up through the years and Riley actually wears the big kid version! 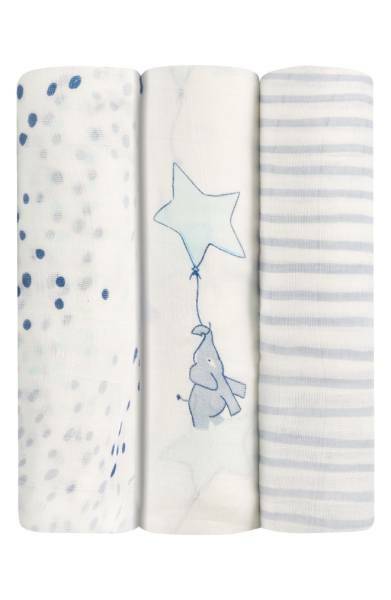 Okay, so I love this brand, but not all swaddles are equal! 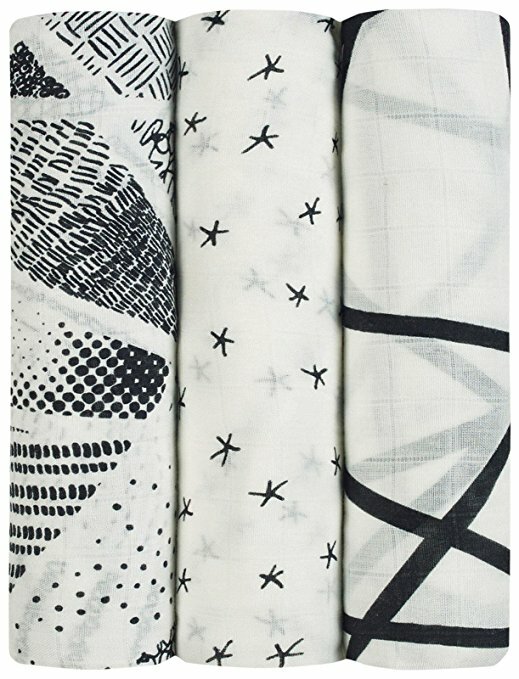 The ones you want to nab are the the 'silky' ones, made of 100% viscose. They are heaven to touch, and like I mentioned before, that breathable factor is a win in my book! The elephant print is from Nordstrom, but if you prefer Amazon (or need that two day shipping! 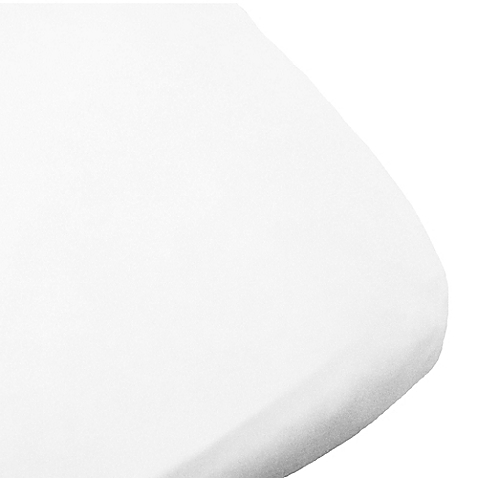 ), click here. 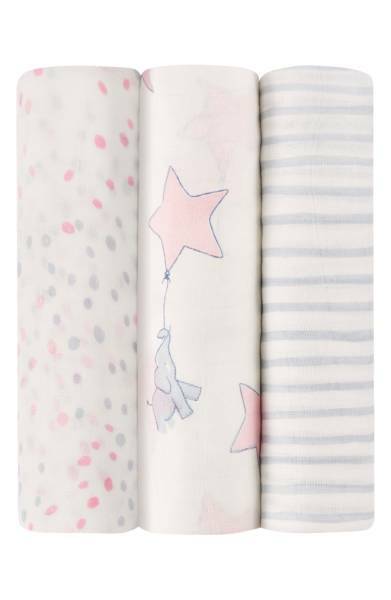 Oliver B Modal Crib sheet - Okay, so knowing my love of modal, why oh why did it take me so long to google “modal crib sheets’??? I will never know. I bought the standard pretty PBK ones. I bought the comfier (and cheaper!) Target jersey ones. But nothing made the cut. Until these. That's it.. I'm buying stock in modal. 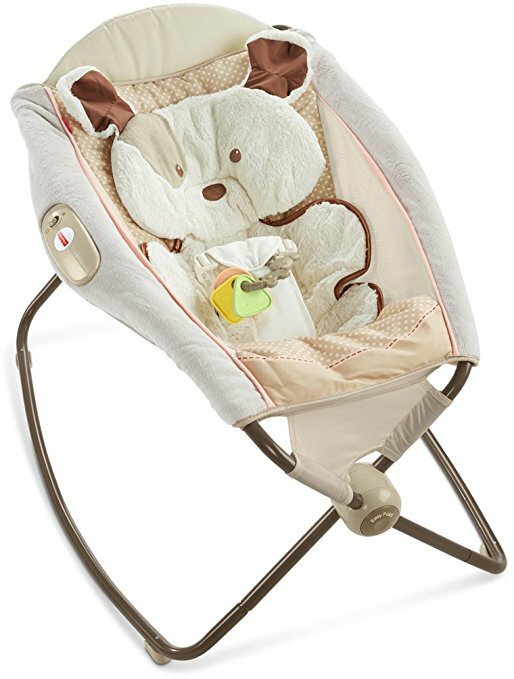 Fisher Price Rock & Play Sleeper- This was a game changer for us in Evie's early days! Prior to this, we had tried a bassinet and a co-sleeper, but our poor little gal had nasty reflux, so the position of this sleeper helped with that tremendously. (Apparently, most kids have some level of refulx, just fyi!) I loved knowing that she was at a bit of an angle, so if she did spit up while she was sleeping, she wasn't laying flat! When you're already hormonal and exhausted, the last thing you want to be up at night thinking about is spit up. For reals. Get this! Or gift it! You'll be some mommas hero! 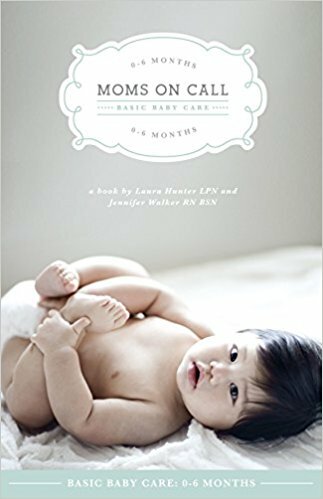 Moms On Call + Moms on Call Swaddle Blanket - Also a game changer for us! Riley and Evie are three and a half years apart and apparently Jordi and I suffered from the biggest case of baby amnesia EVER. I literally remember wondering how Riley had survived the first year of her life because I didn't remember anything. After the 90th time I had said "I don't remember Riley doing this.." about things she clearly must have done (bath time, anyone? ), I realized I needed some back up. These gals retrained me via their book and made me think I had a handle on parenting (and life!) again. You can even email them to get one on one consulting if you're desperate.. I may have. Ha! They have a specific (genius) way of swaddling and a swaddle blanket that actually kept Evie tucked in when she was breaking out of all the others. Here is some picture proof that I may have lost my mind for a minute in those early days.. 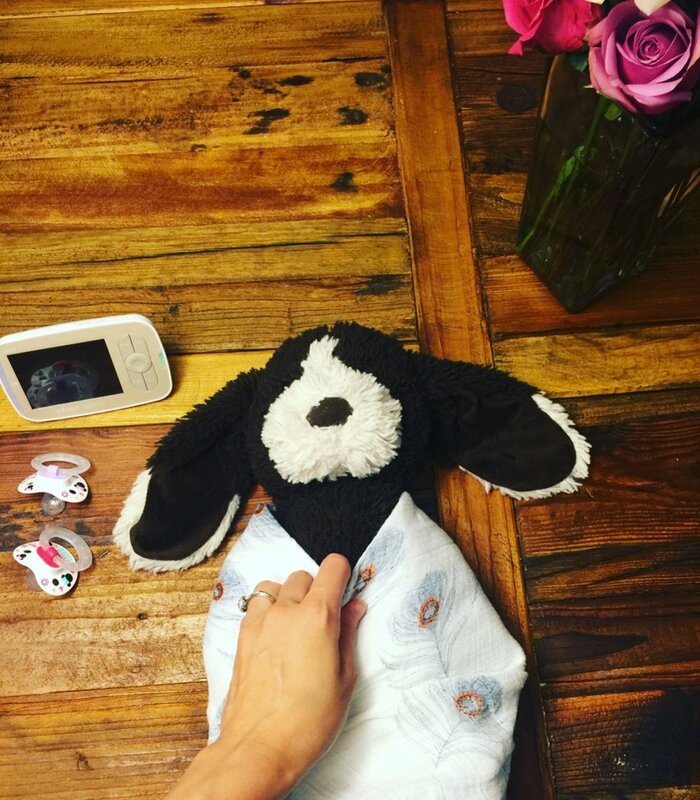 This is the night that Jordi walked in on me watching the Moms on Call YouTube video and practicing my swaddle technique on Murphy, Riley's stuffed animal, while both of the girls were asleep. There was definitely wine + massive amounts of sleep deprived desperation involved.